insaneheadspace: It's Been a While! 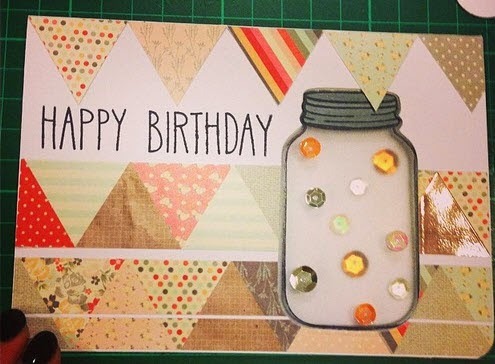 I don't know where my card-making mojo went, but last night I got a little of it back. Just two cards so far; off to a good start! 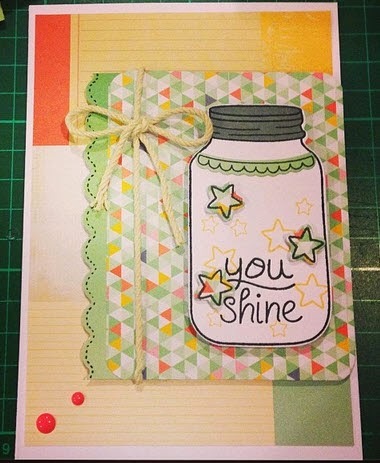 I stuck with Lawn Fawn stamping and die-cut supplies (Lawn Fawn is my favourite!). 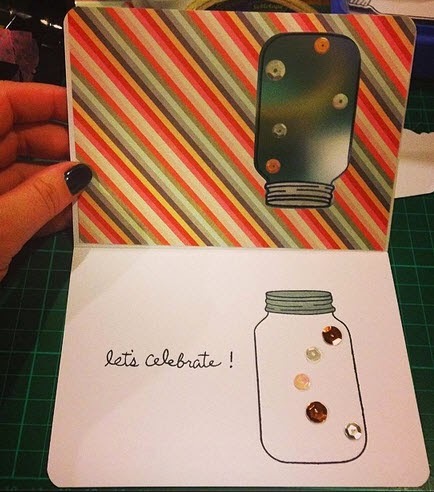 I always liked making the inside of a card special, as well as the front - and this one is pretty cool :) (annnd it hides the 'mess' created by sticking the clear stamped jar on!). ink: Memento Ink Pad in Tuxedo Black, Memento Dew Drops Dandelion ink.